The fun started with a raffle of the pastor’s car. In 2011, Father Jonathan Meyer donated his car for a raffle—a raffle designed to raise funds so 10 young adult Catholics in his three Jennings County parishes could attend World Youth Day that year in Madrid, Spain. “We hosted a party with live bands and food for the culmination of our fundraiser to raffle off the car Father Meyer had donated to the cause,” recalls Kate Eder, volunteer director of young adult ministry for St. Mary Parish in North Vernon, and St. Ann and St. Joseph parishes in Jennings County. Now, Father Meyer and the young adult ministry team of the three parishes in Jennings County have developed another creative—and far more physically-challenging—fundraiser to help send 14 young adult Catholics to World Youth Day in Rio de Janeiro this summer. 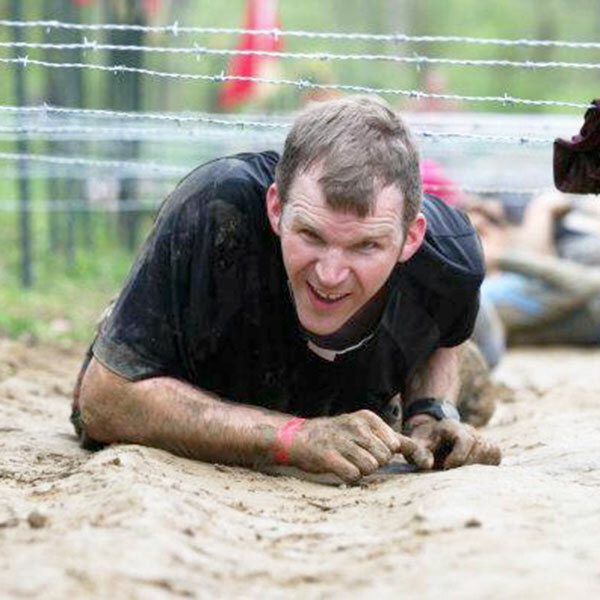 The June 22 fundraiser is called “Tame the Terrain,” a 4-mile race through 20 obstacles that include climbing a rock wall, jumping over fire pits and crawling under barbed wire. The fundraiser will also benefit teenagers from the parishes who want to attend the National Catholic Youth Conference in Indianapolis in November. While some people may consider that the raffle and the race tend toward the extreme, the goal of both events is basic, according to Eder. “We recognize that the young adult years can often be the most challenging for individuals when it comes to maintaining and strengthening their faith and their personal relationship to God,” she says. “We are aware that young adults still long for a close relationship to God and yearn for a sense of belonging, but may have difficulty finding their place once they have graduated high school or are out on their own. The three Jennings County parishes have hosted social events for young adult Catholics, including game nights, cookouts and versions of Theology on Tap evenings for college students who have returned home for the summer. The connection is equally important for the three parishes, Eder says. Young adult parishioners have become involved in youth ministry programs, serving as leaders of retreats, Bible study and religious education programs.